Plant seeds and watch how many sprout. Examine what factors affect germination. Vary the amount of heat, water, and light the seeds get. Practice designing controlled experiments and using the scientific method. Discover what conditions affect seed germination. Explore the effects of water, temperature, and light on seed germination. Discover that the requirements for germination will vary for different seeds. Design controlled experiments to test the effect of different variables on germination. Modified version of the student worksheet to reinforce writing hypotheses using the formalized style, and... (more) identifying the variables. GREAT Gizmo - kids love it! Teacher too. Great simulation before doing this lab. This is a great way to demonstrate germination within minutes notvweeks. Teaches germination of seeds and Scientific Method!! Great way to learn about scientific method--can manipulate many variables and see the effect. I use this gizmo to teach independent and dependent variables. We can grow a lot of plants in one class period! 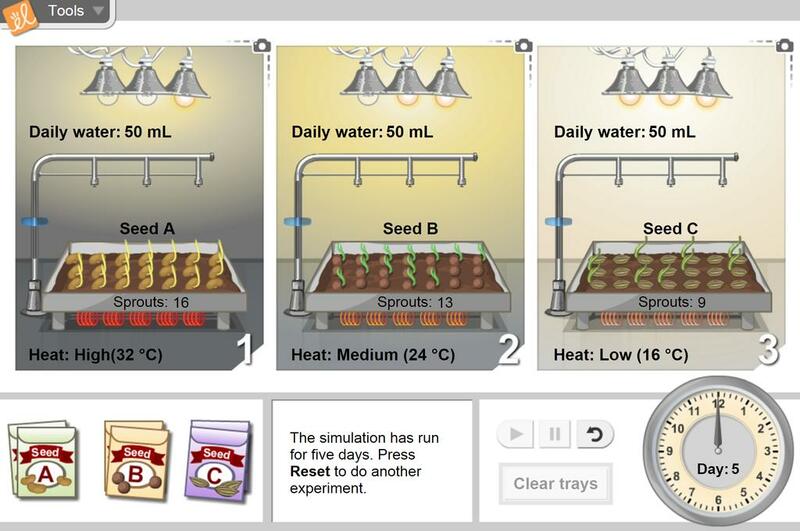 This is a great Gizmo for teaching the essential elements for seed germination. This was also helpful for teaching the scientific method!